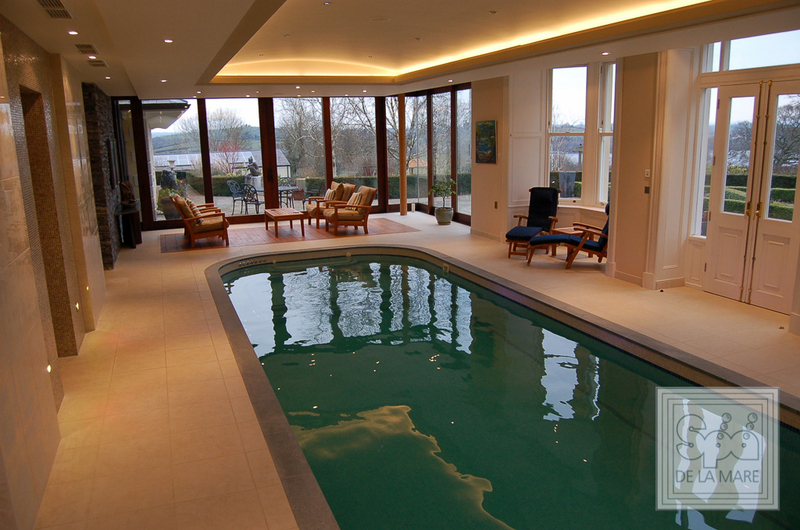 With so many health benefits linked to swimming and hydrotherapy, you’d be amazed at what installing a Swim spa into your home can do. 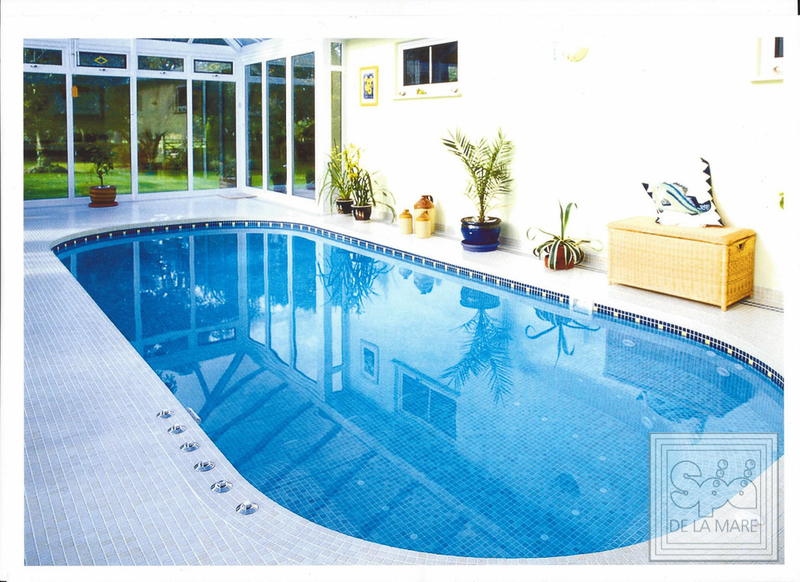 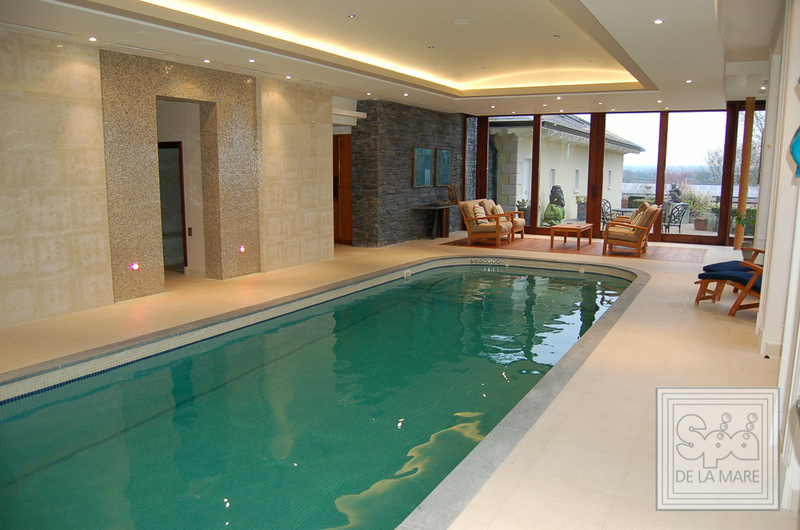 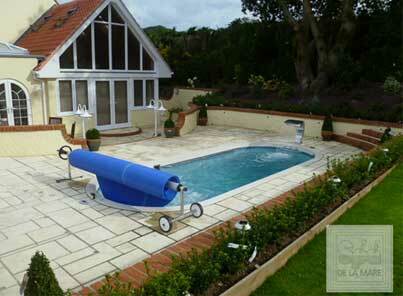 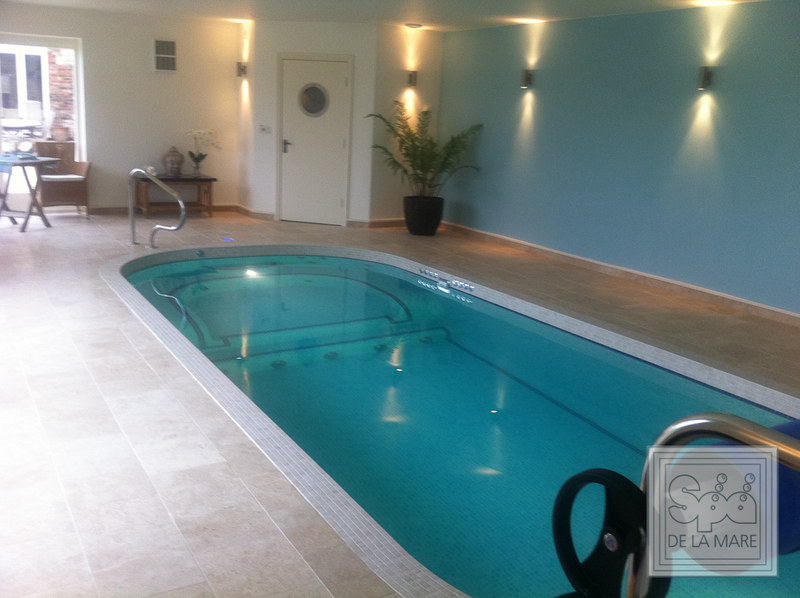 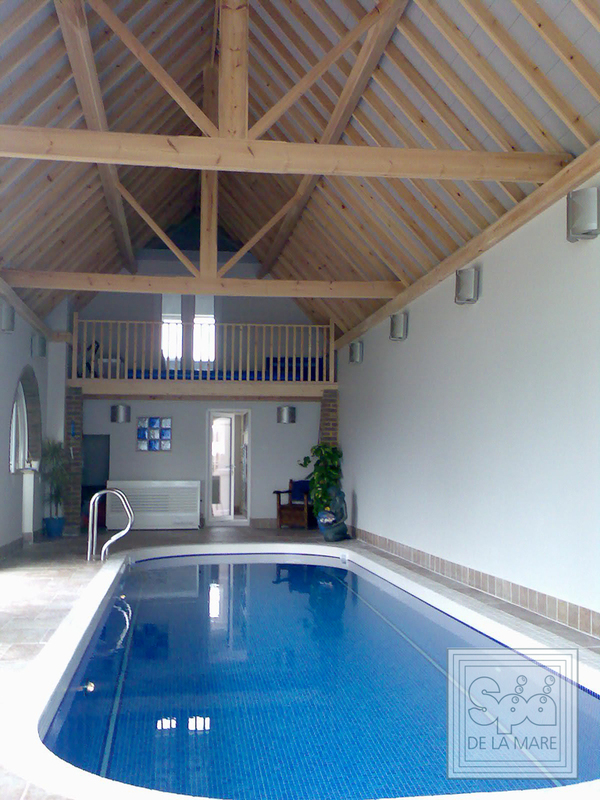 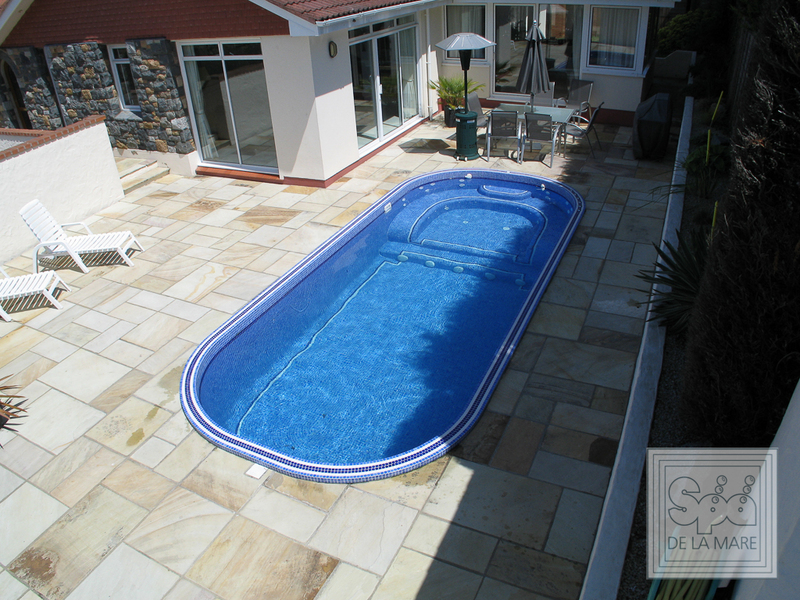 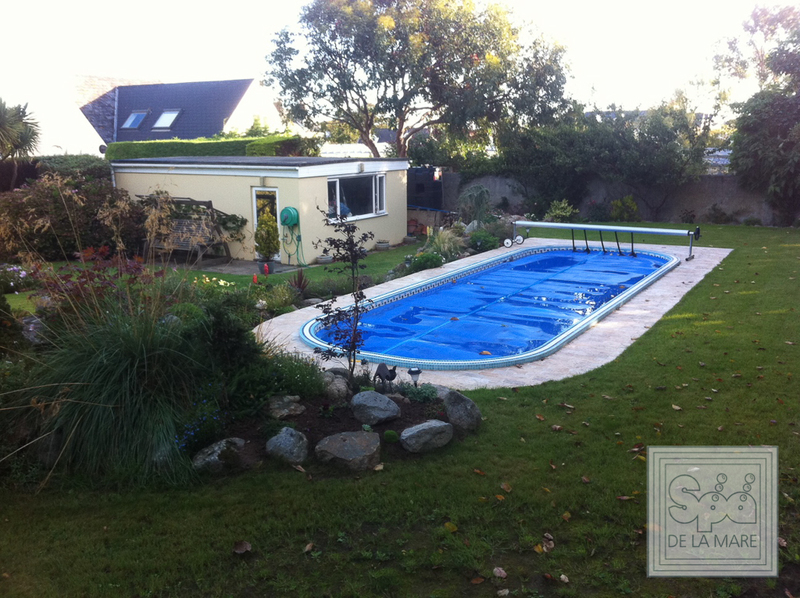 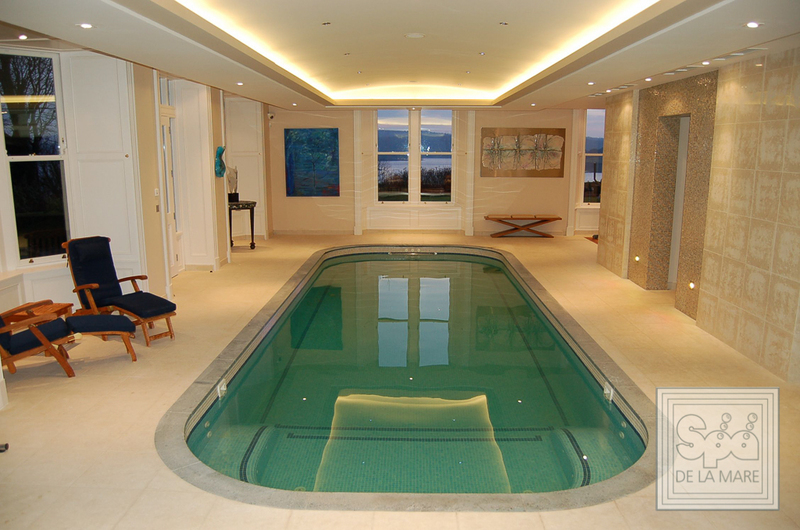 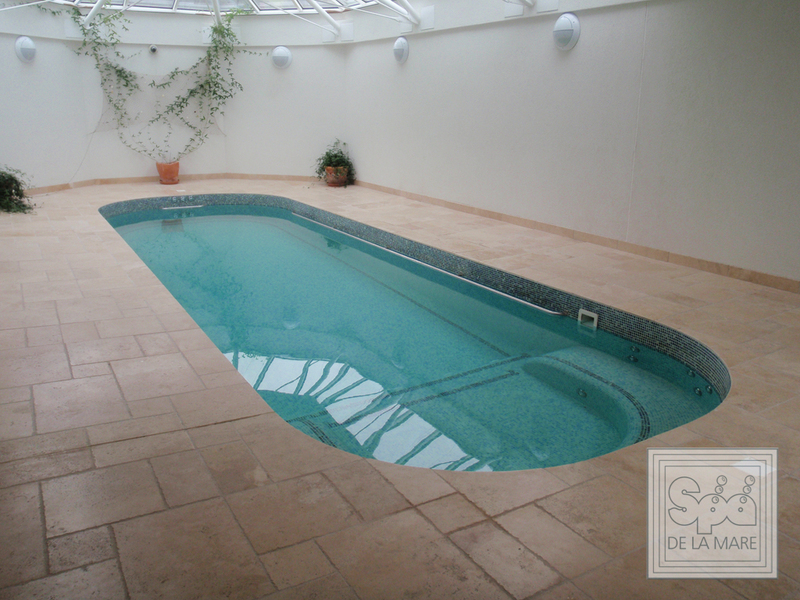 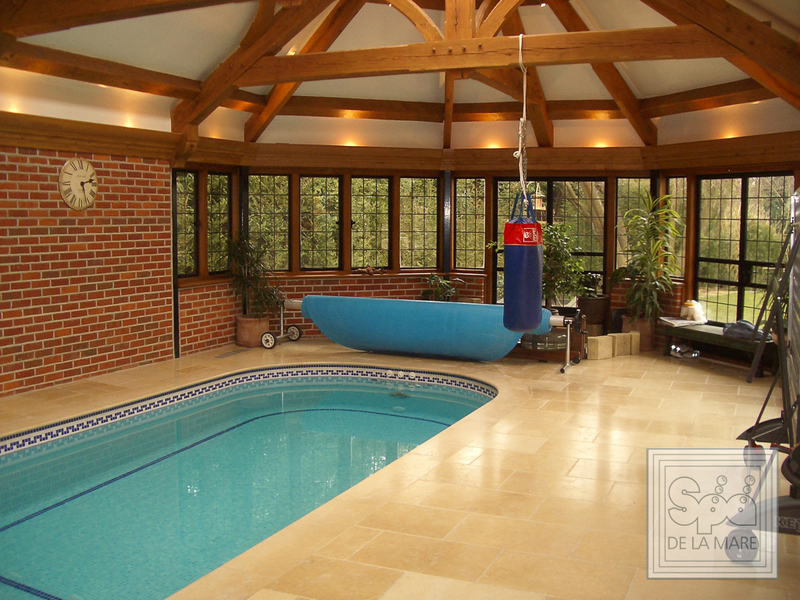 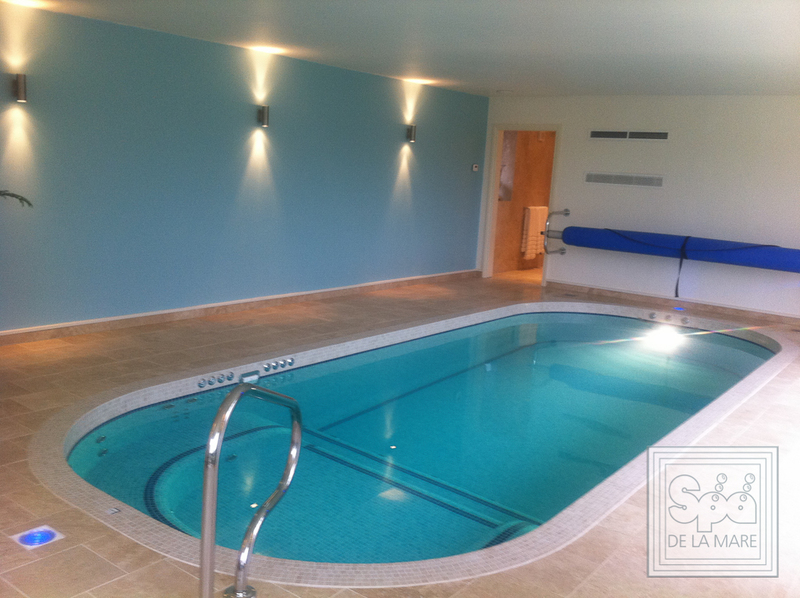 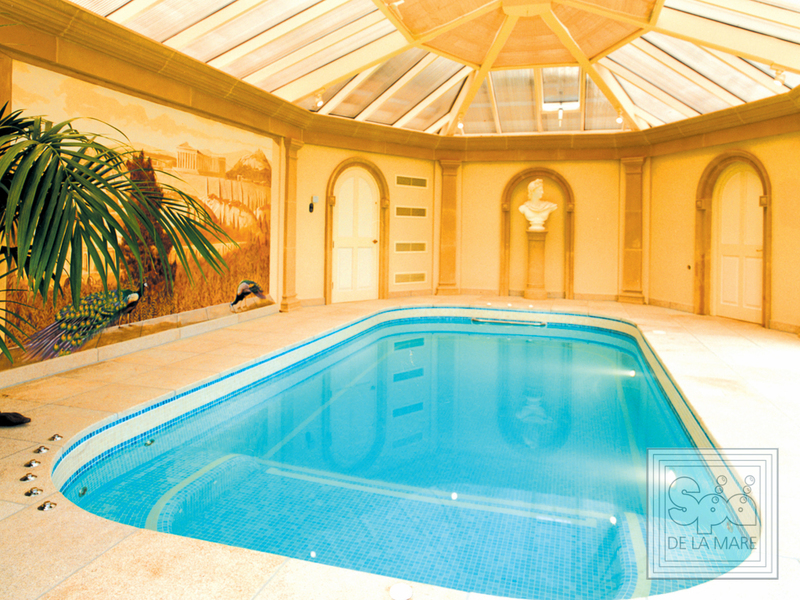 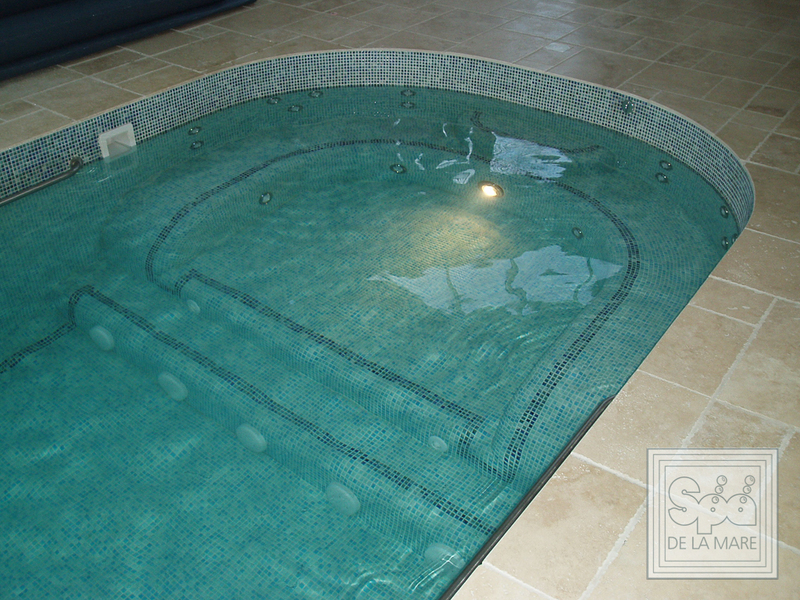 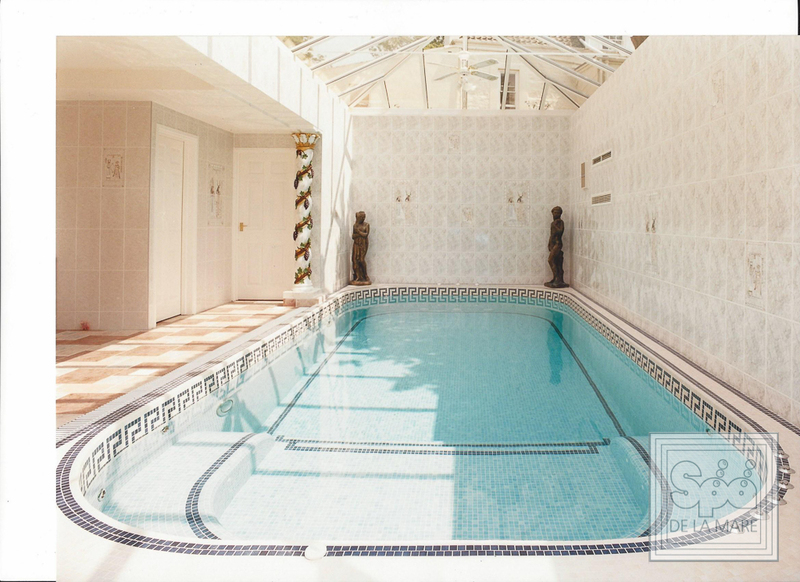 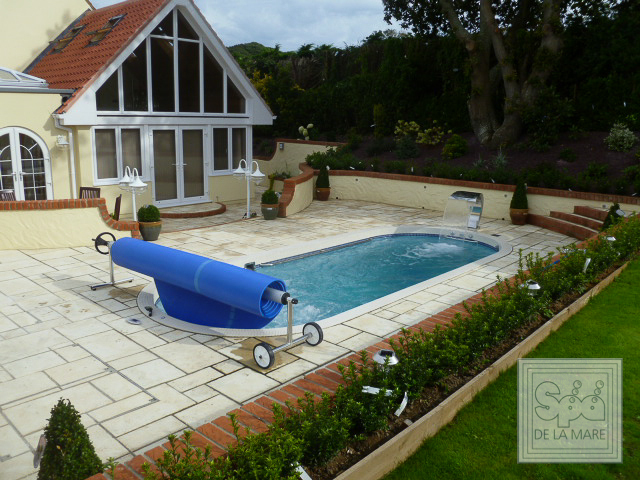 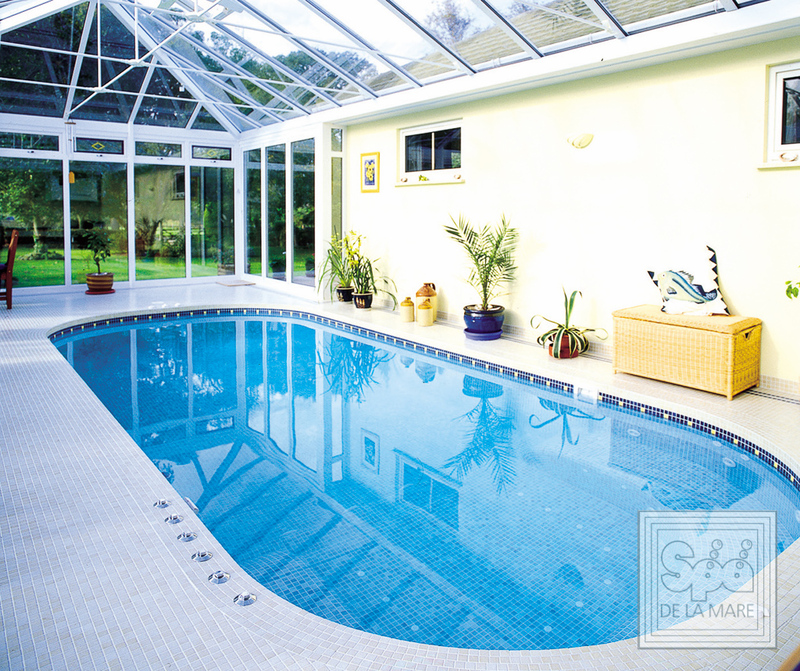 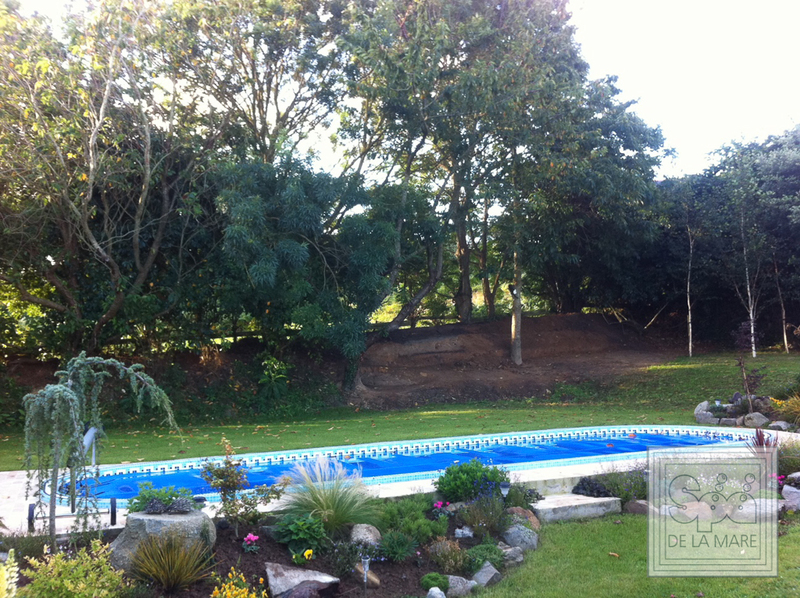 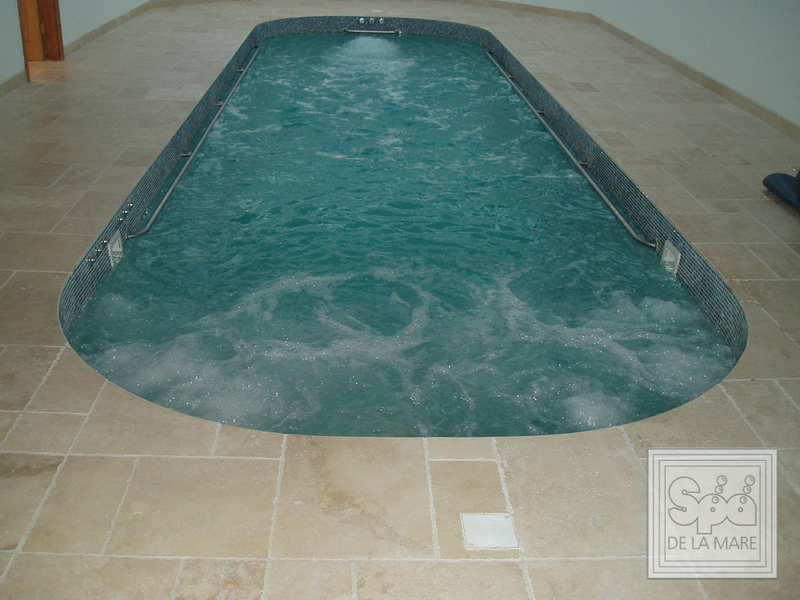 At Spa De La Mare we offer high-end Swim spa solutions with our customer’s needs in mind that provide a fantastic alternative to a traditional swimming pool or spa installation. 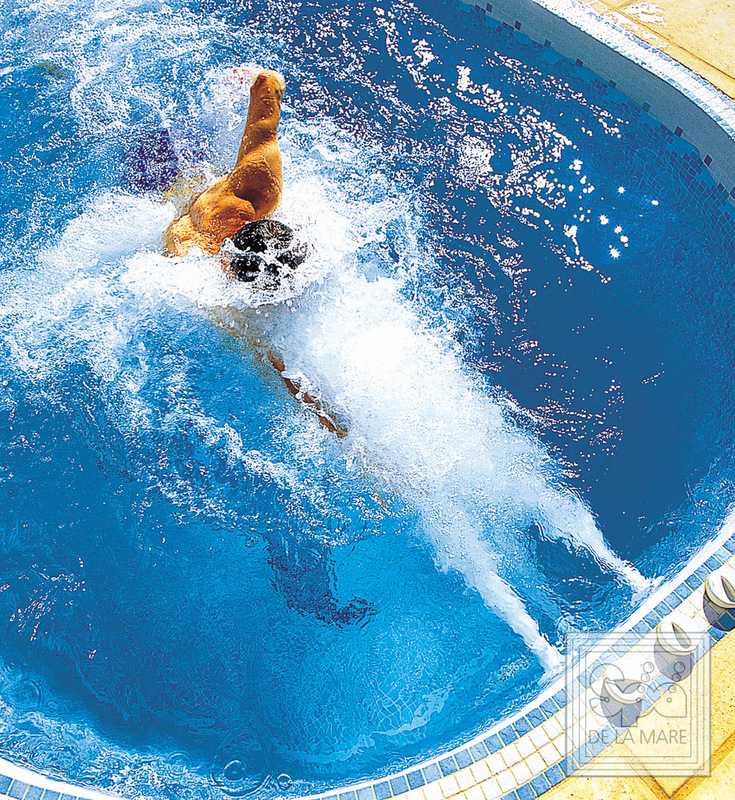 With lower maintenance, better energy efficiency and stylish finishes that can be customised to your own tastes, our range of Cleopatra Swim spas will prove to be a sound investment; not only adding value to your home, but also to your quality of life. 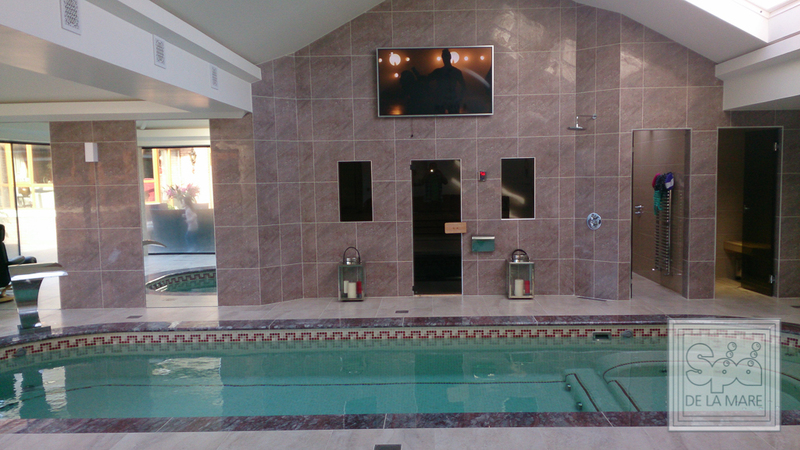 With the Cleopatra III Swim spa you can enjoy all the benefits of a combined swimming pool and spa that has plenty of room and variable functions for an invigorating swim at one end, and a dedicated hydrotherapy massage are for relaxation. 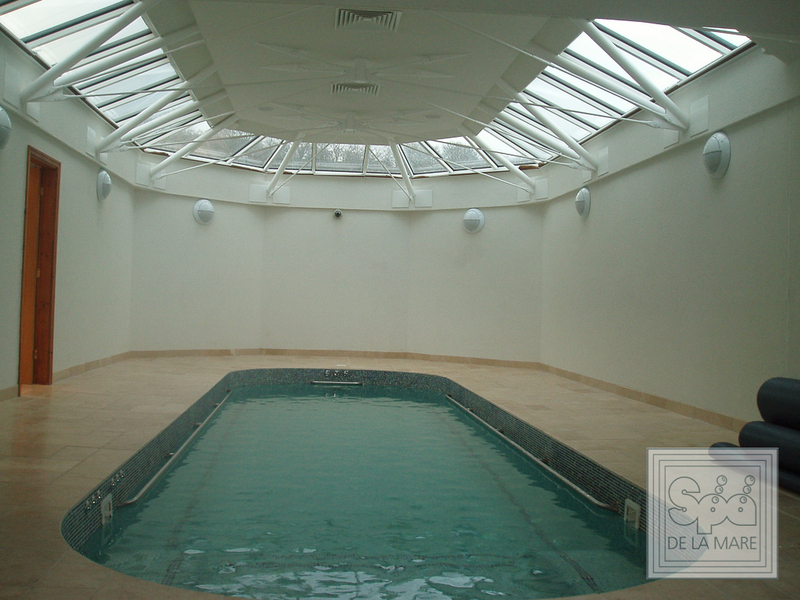 Whether you want to exercise, unwind after a busy day or relax with friends and family, the Cleopatra III Swim spa really is the perfect solution. 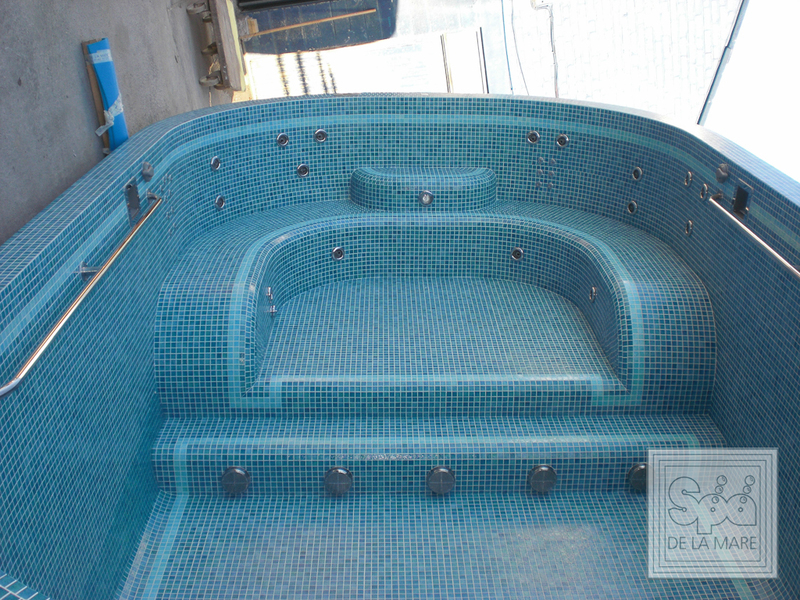 Applying the same quality and design principles across all our Cleopatra Swim spa range, the Cleopatra III offers a greater swimming area at 3 metres wide, but still with the same great levels of energy efficiency, convenience and functions, with three-speed swim jet in the pool area to adjust the current, and variable controlled multi-jet hydrotherapy massage spa area. 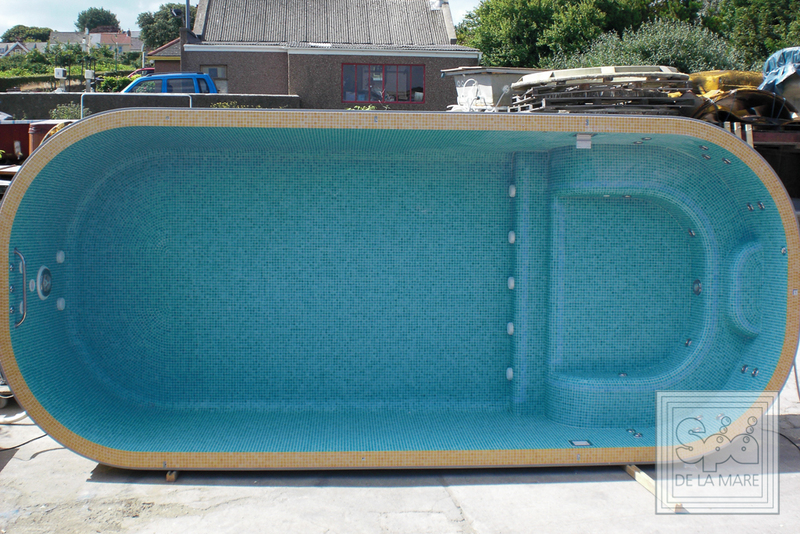 With the Cleopatra III Swim spa, we know you’ll just love spending your time swimming, relaxing and enjoying this beautiful pool, but unlike traditional pools a Cleopatra III Swim spa is designed to be as energy efficient as possible. 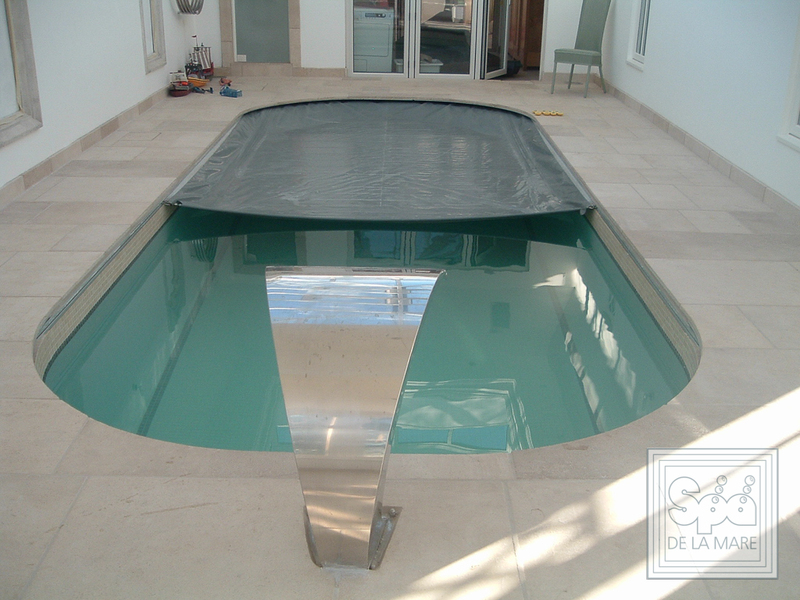 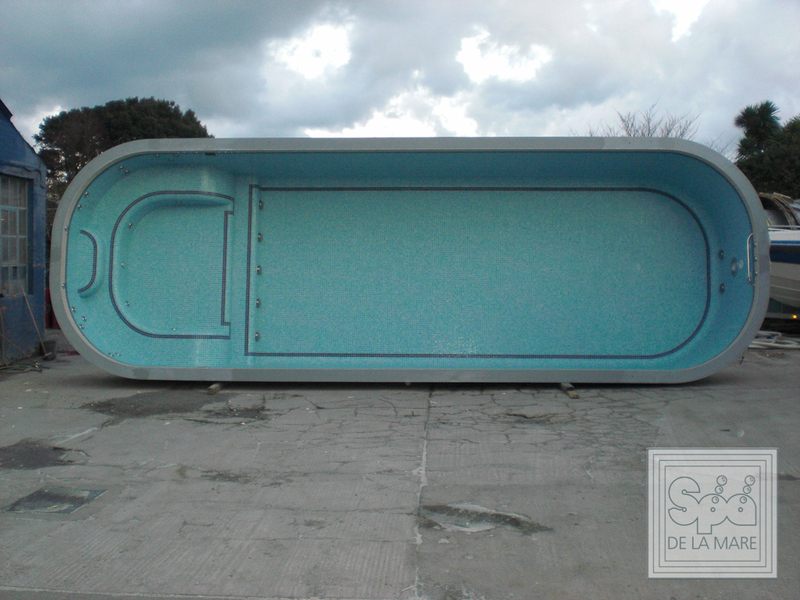 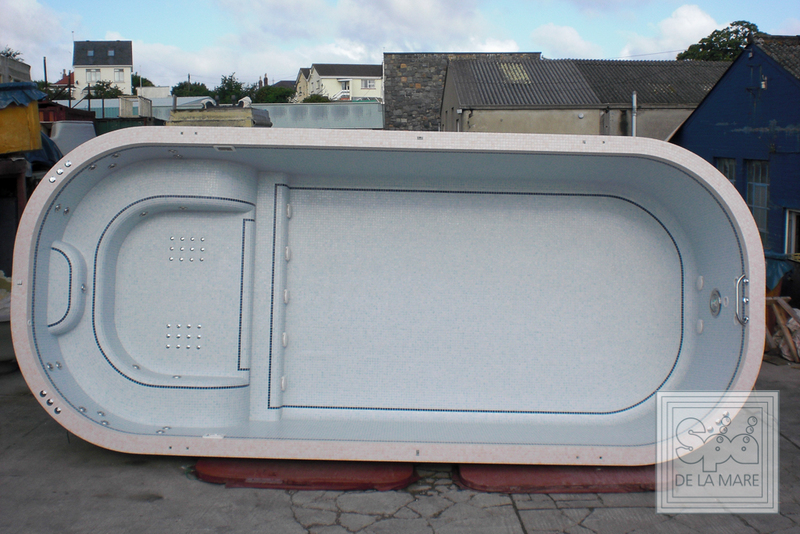 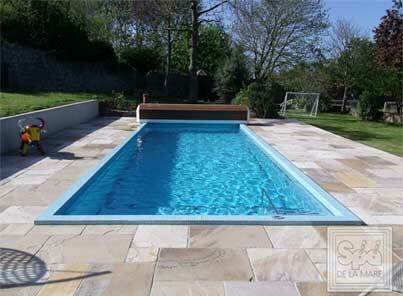 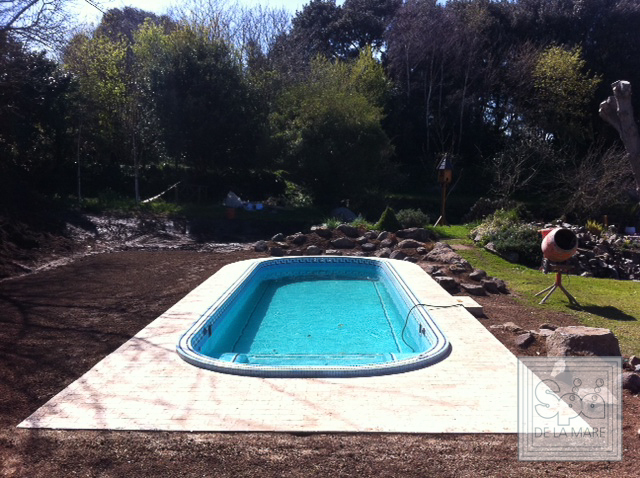 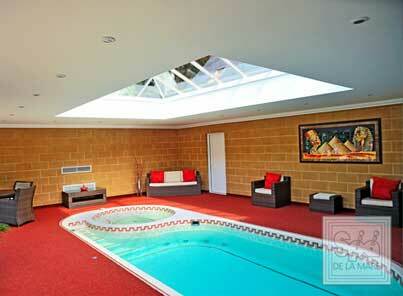 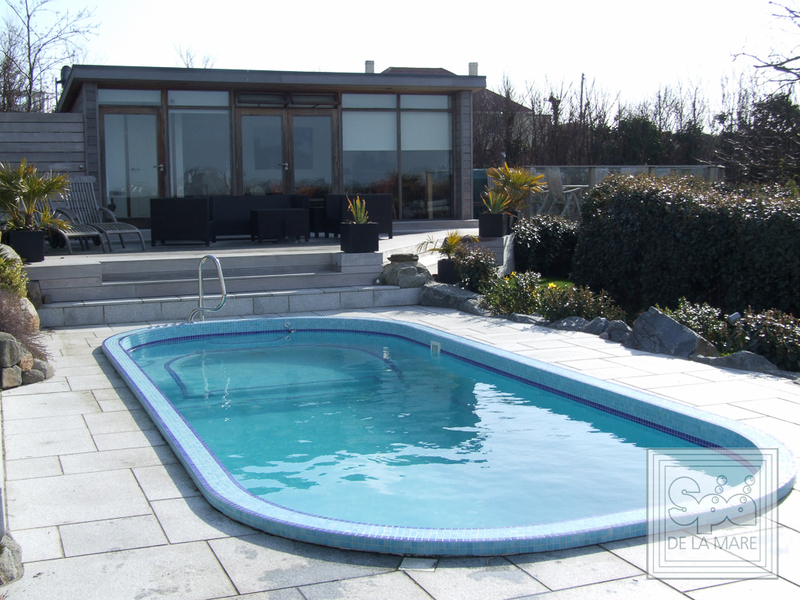 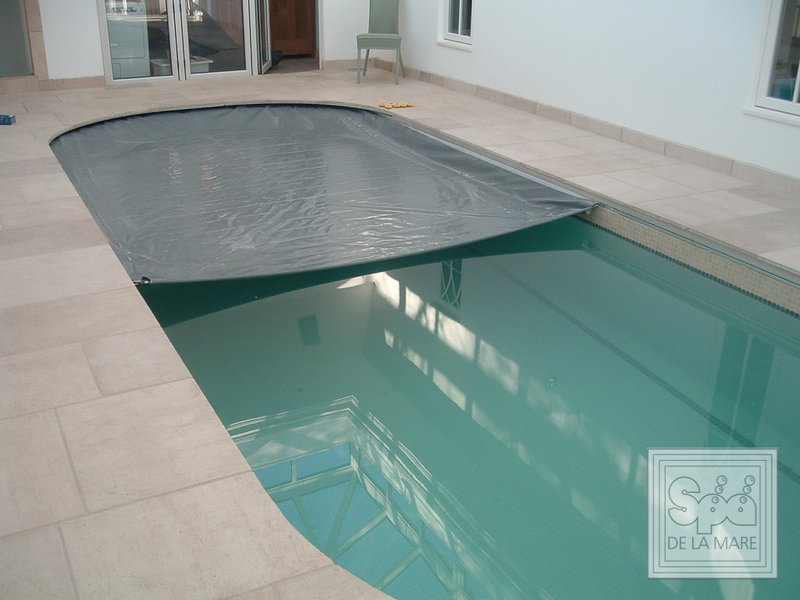 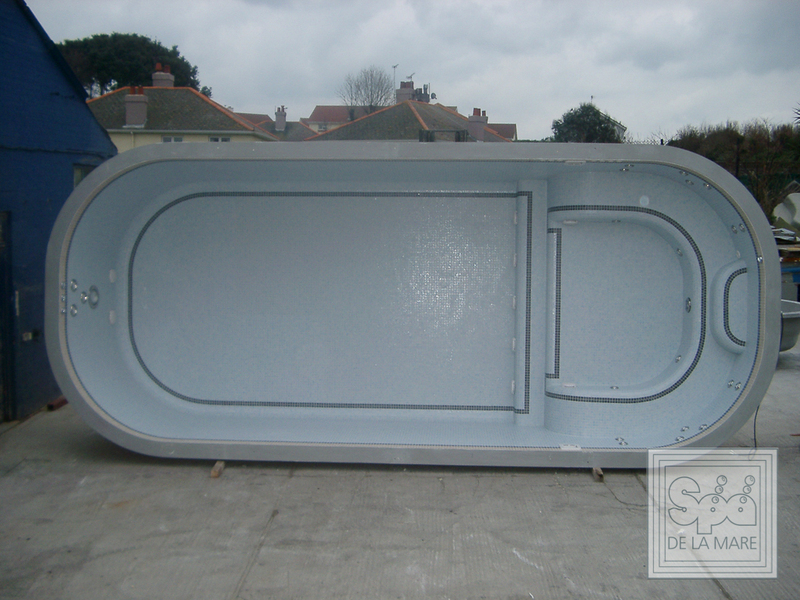 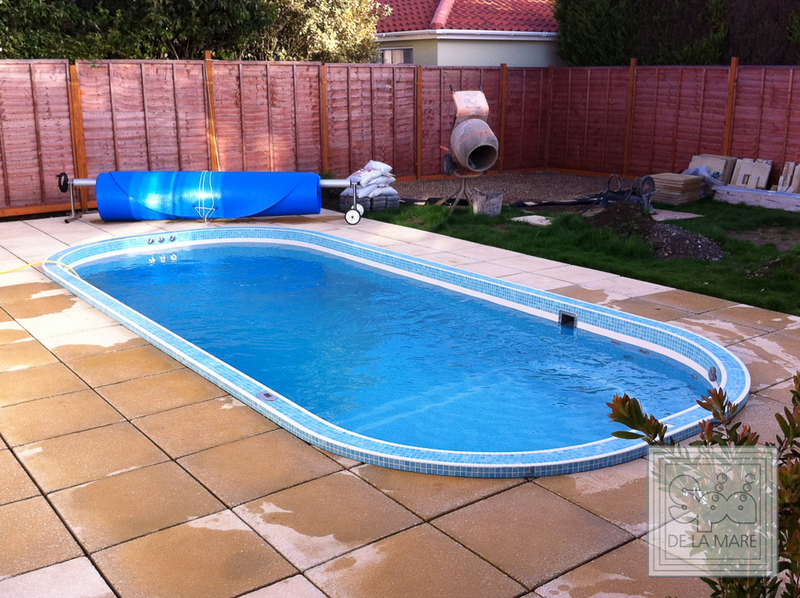 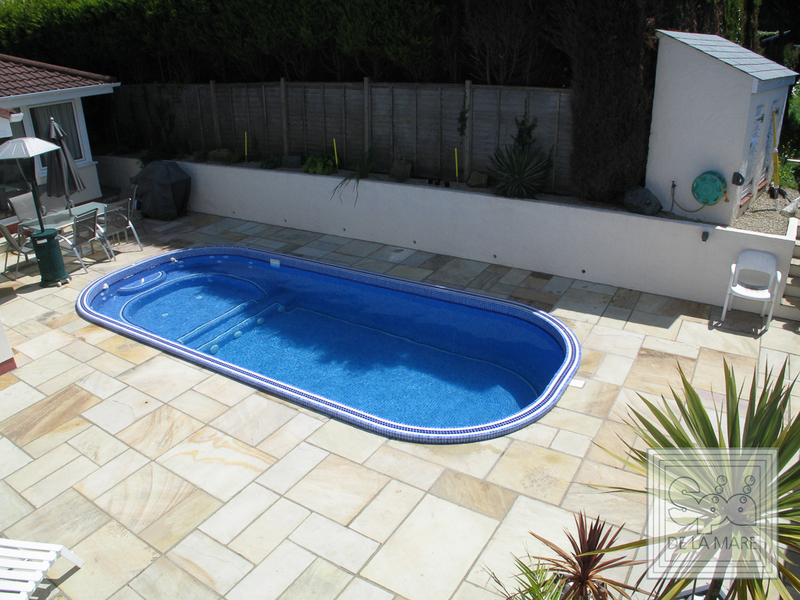 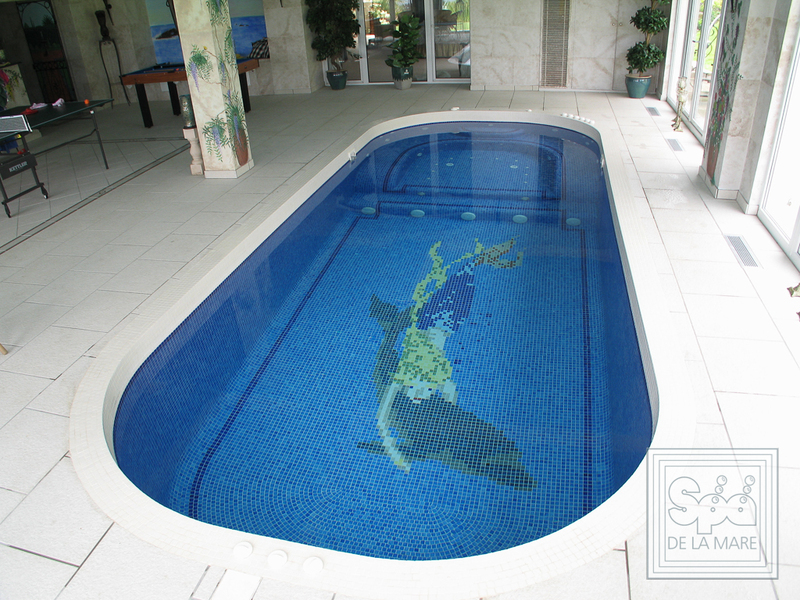 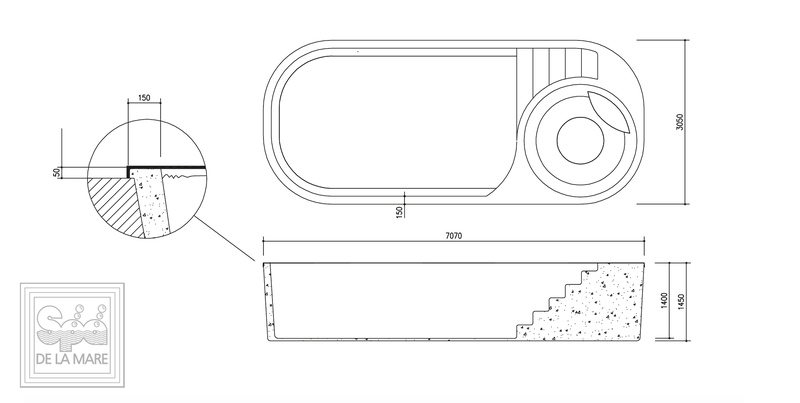 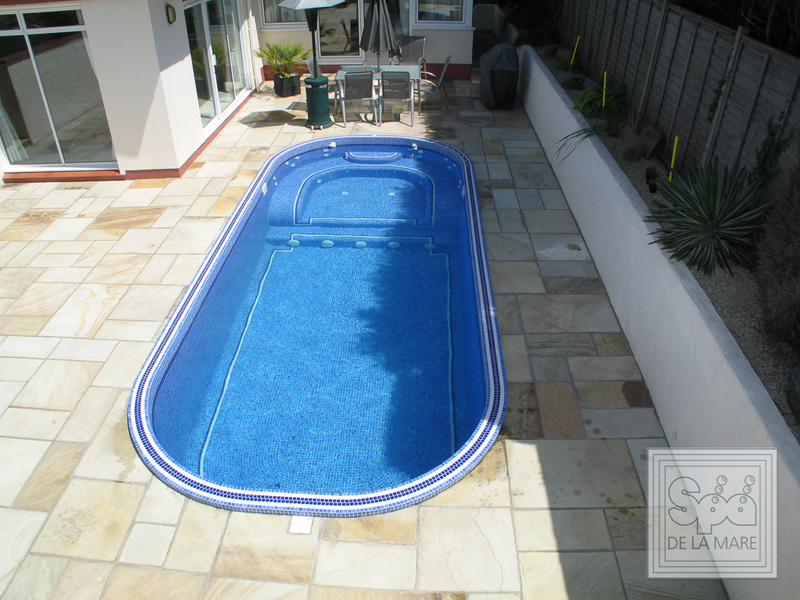 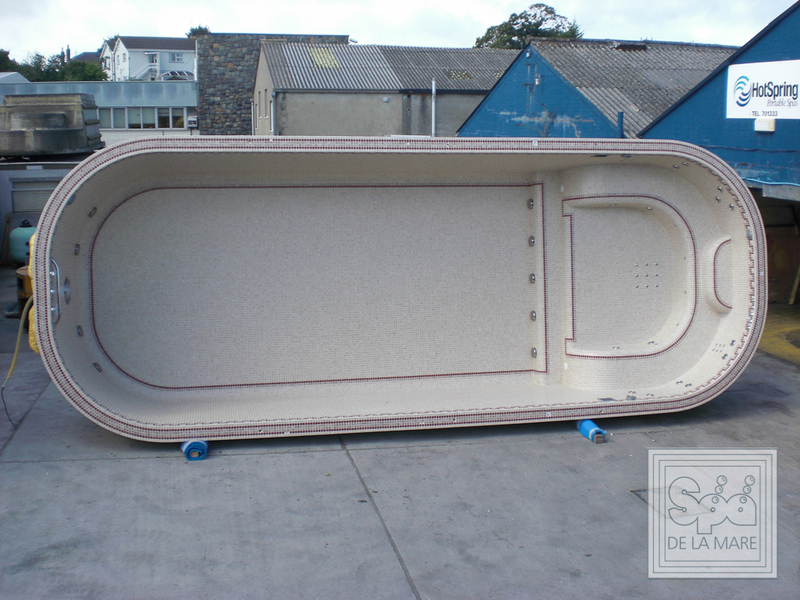 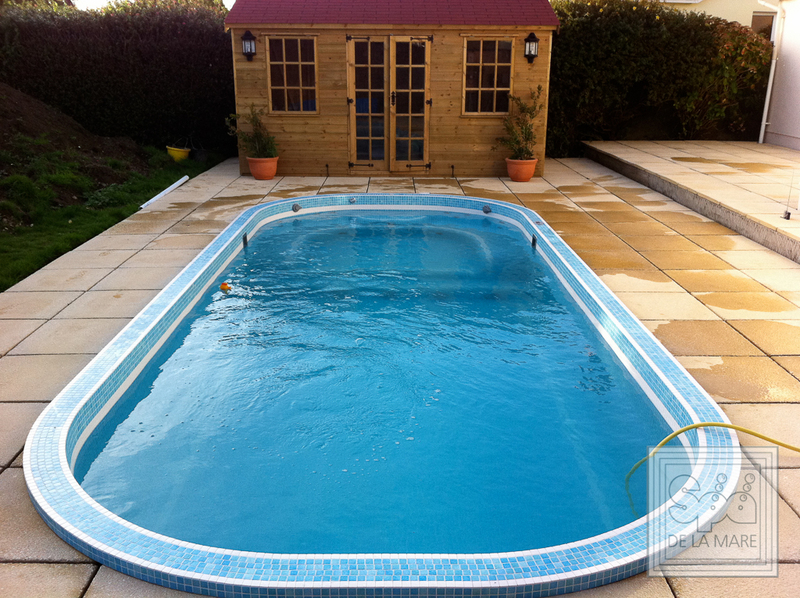 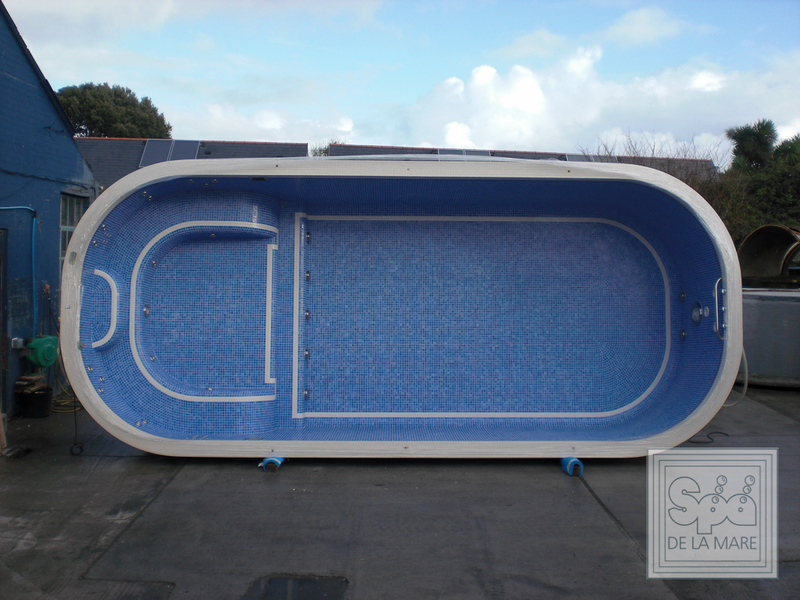 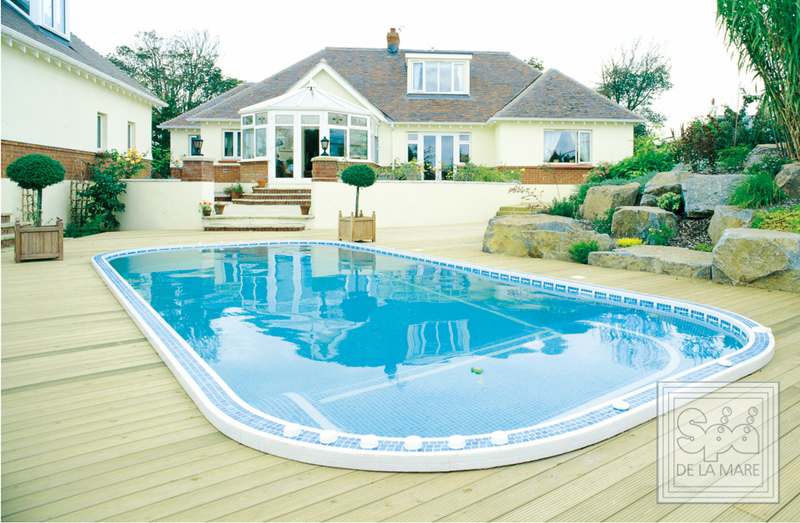 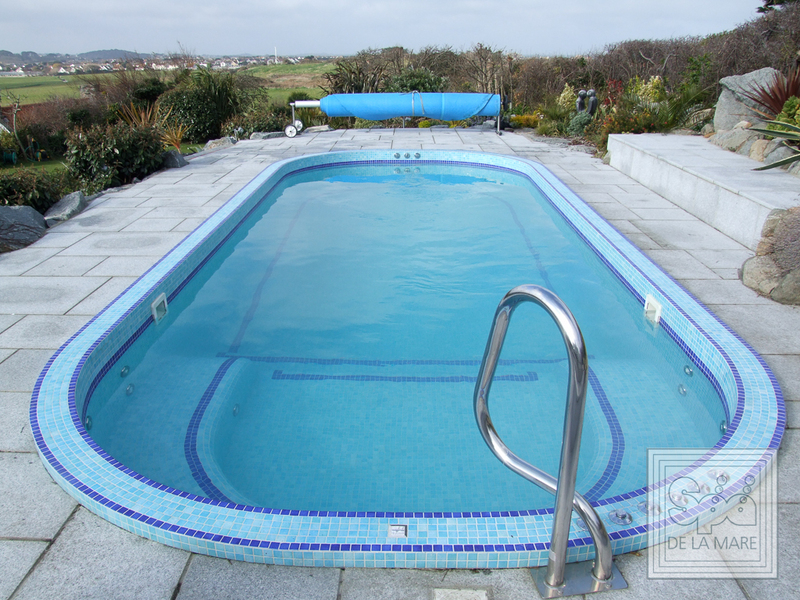 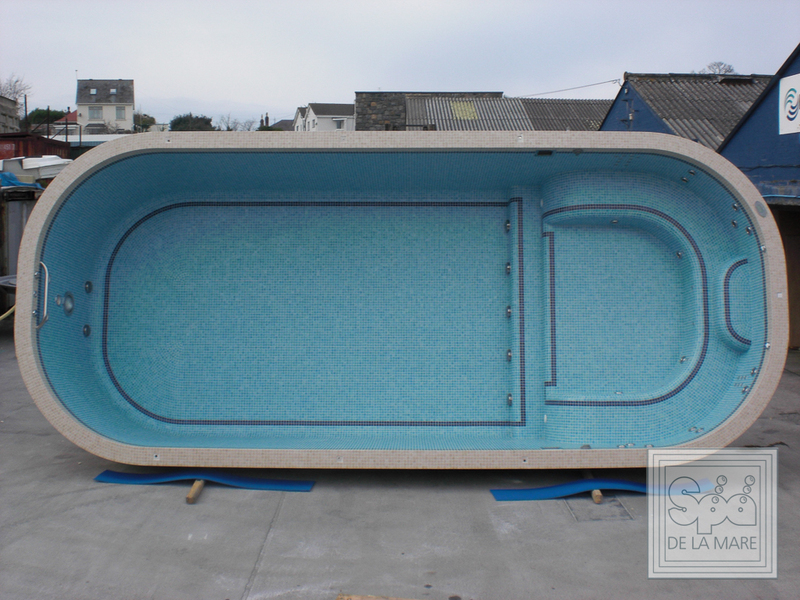 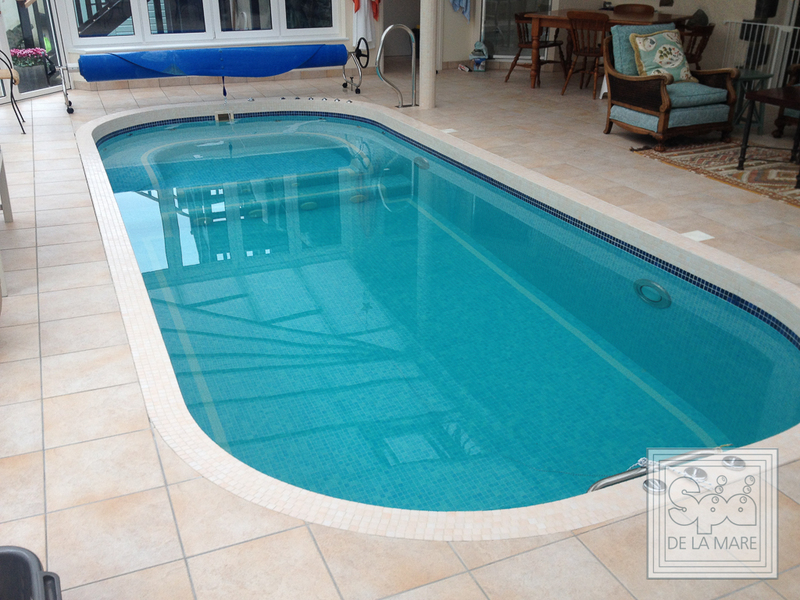 The base of the pool is manufactured from a high density full foam block construction with a floating thermal cover to maximise the heat retention and maintain the perfect temperature to suit you. 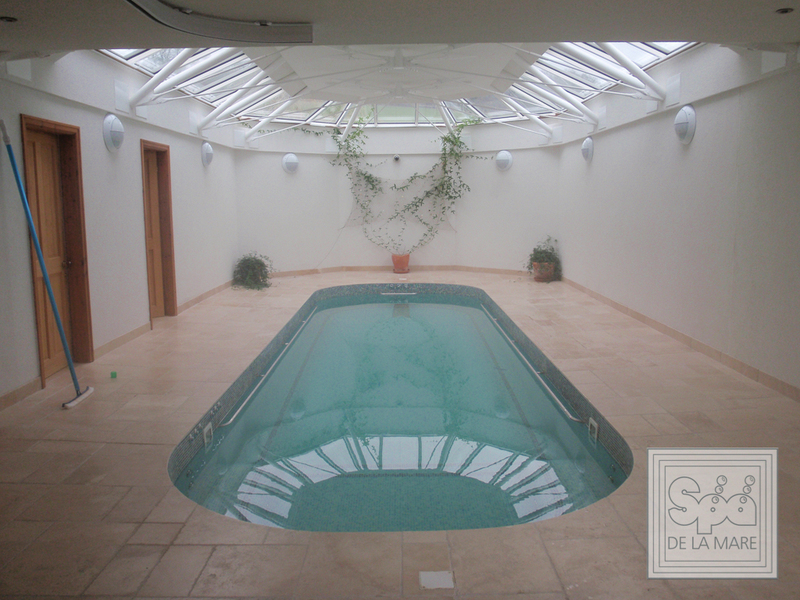 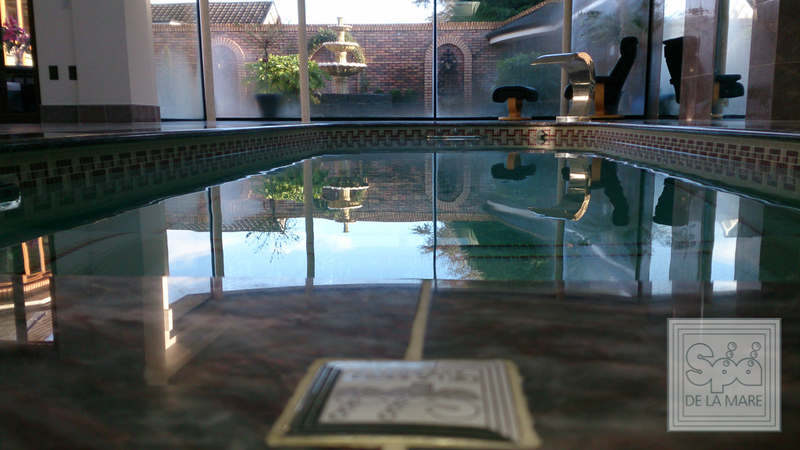 Our Swim spas, also have a lower water volume and require less maintenance than traditional pool installations by using the latest technology for filtration, which all means that there shouldn’t be any huge increases in your energy usage, saving money on running and maintenance costs. 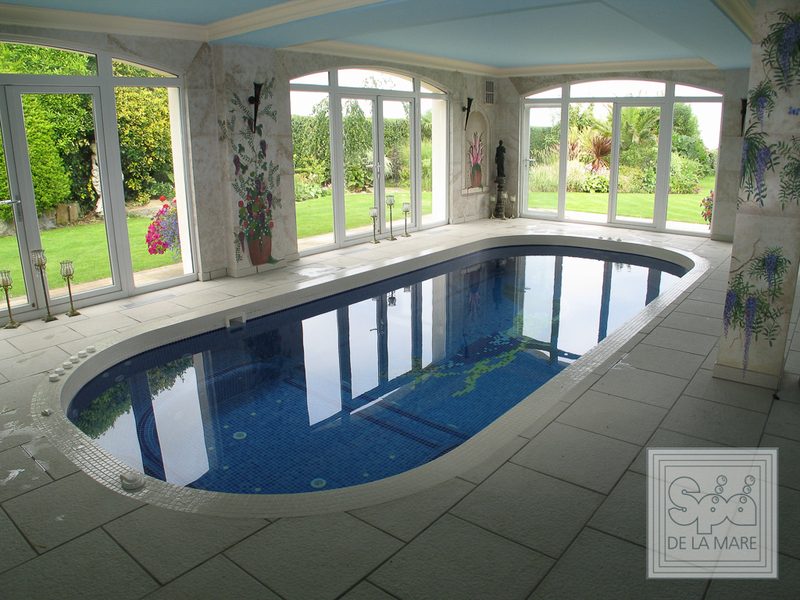 At Spa De La Mare, we recognise that investing in a Swim spa is a significant outlay and whilst your main reasons may be to take full advantage of the health benefits, you also want to ensure it looks great and is built to last. 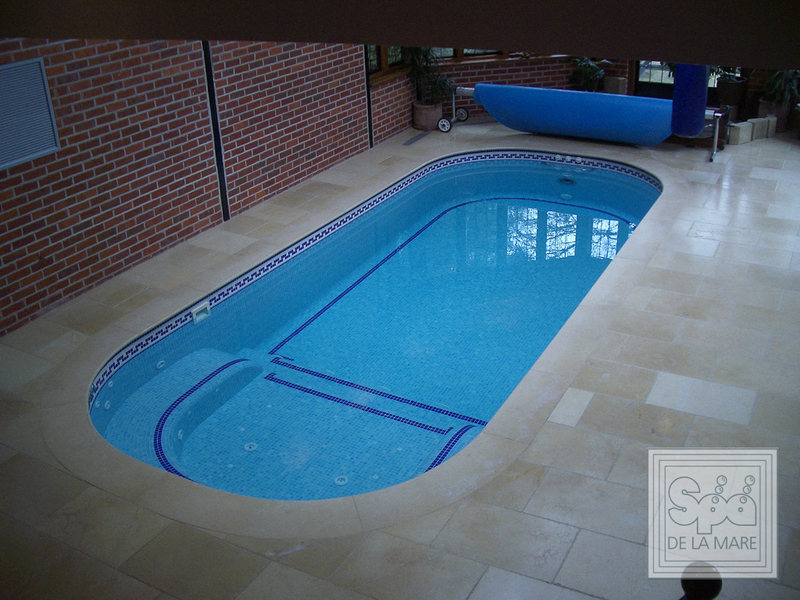 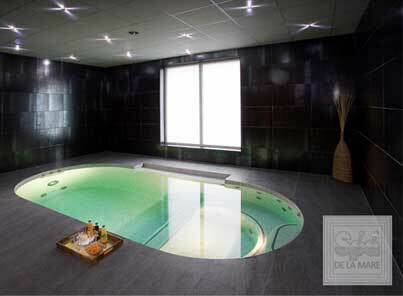 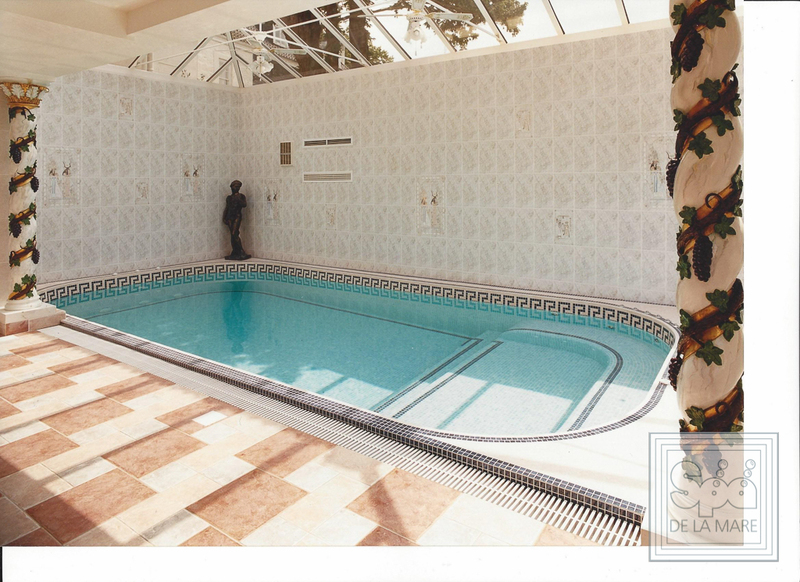 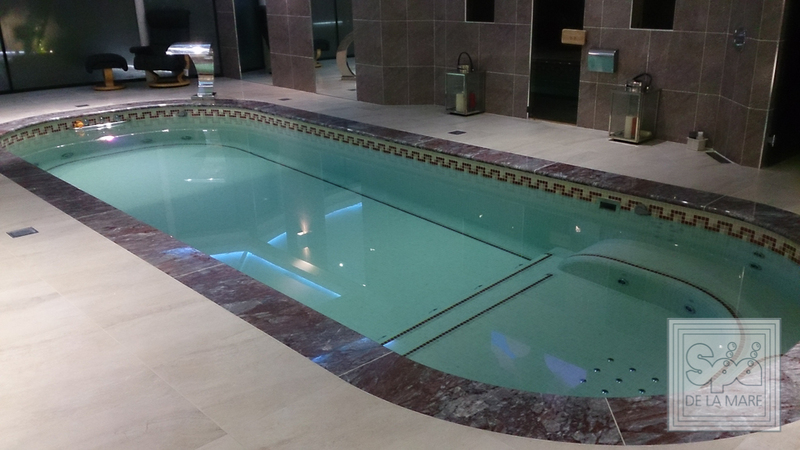 With a Cleopatra III Swim spa you can be rest assured that as with all our products, it has been produced to an exceptionally high standard throughout from the technological components through to the porcelain mosaic Émaux de Briare tile finish.